Hand crafted premium speciality drinks for the cafe industry. We are super pleased to bring you this exciting range of blended powders to make the increasingly popular and versatile rainbow lattes and premium hot chocolates. A pleasant introduction of Spanish Orange to our light chocolate range.​ ..
A delicate introduction of rare Egyptian Mint to our light Chocolate range. Our drinks are made from natural ingredients and blended into a powder. We..
A smooth, creamy and delicate sweetness Our drinks are made from natural ingredients and blended into a powder. 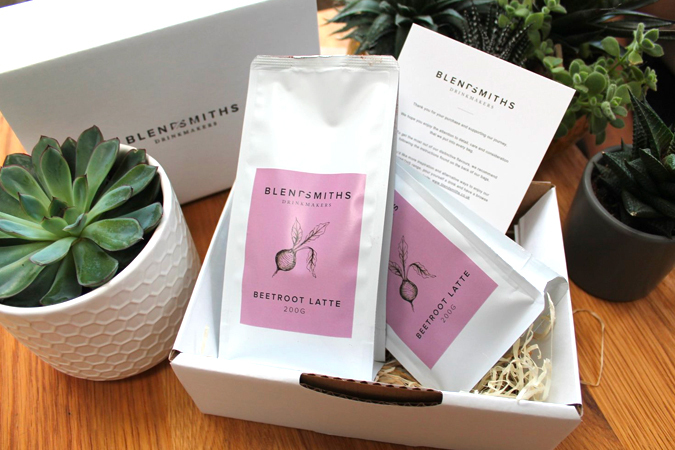 We carefully source the very best ingr..
Blendsmiths Beetroot Latte. Mild earthy beetroot tones, gentle sweetness followed by a spicy aftertaste. Gluten free, dairy free and vegan-friendly! 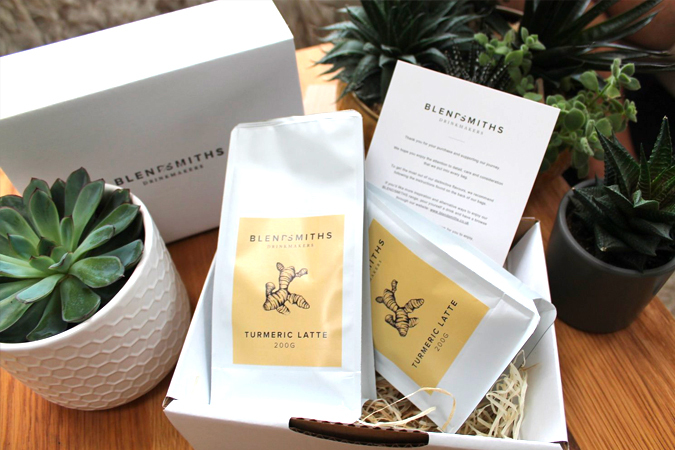 ..
Blendsmiths Turmeric Latte. Full-bodied, smooth and spicy. Gluten free, dairy free and vegan-friendly! 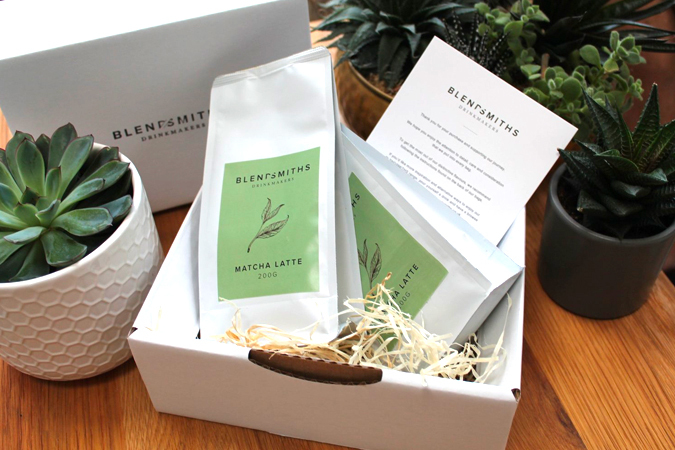 Available in service and retail size 500g & ..
Blendsmiths Matcha Latte. A taste of Japan. Velvety smooth, hints of sweetness with a mildly bitter undertone. 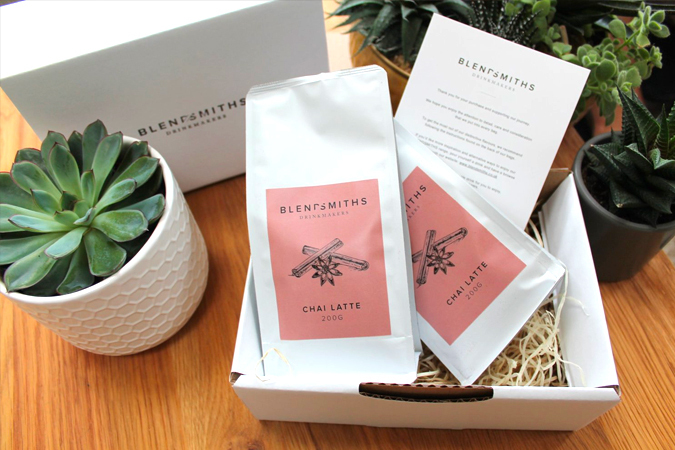 Gluten free, dairy free and vegan-frien..
Blendsmiths Chai Latte. Authentic Chai experience. Well balanced, hints of sweetness and spicy aftertaste. Gluten free, dairy free and vegan-friendly!.. 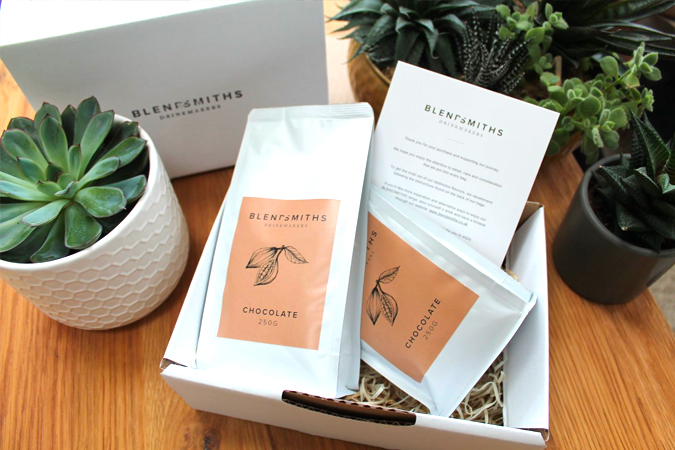 Blendsmiths Chocolate (35% Cacao). Smooth, creamy and balanced. Gluten free, dairy free and vegan-friendly! 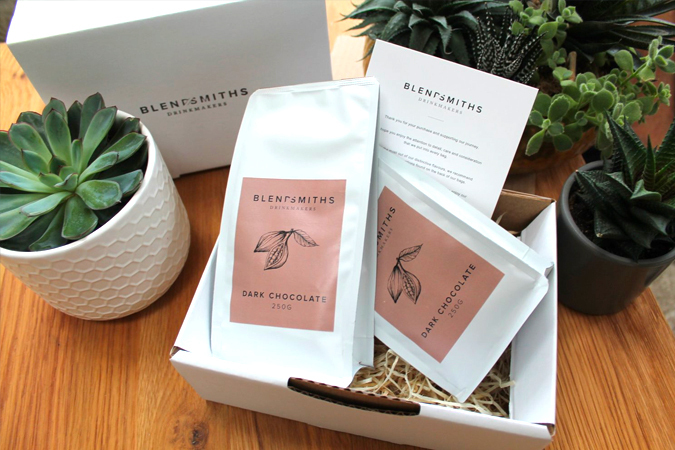 Available in service size 1Kg 44 Ser..
Up your 'Hot Chocolate game' with Blendsmiths Dark Chocolate (51% Cacao). Bold, Rich and delightful. Gluten free, dairy free and vegan-friendly! Av..